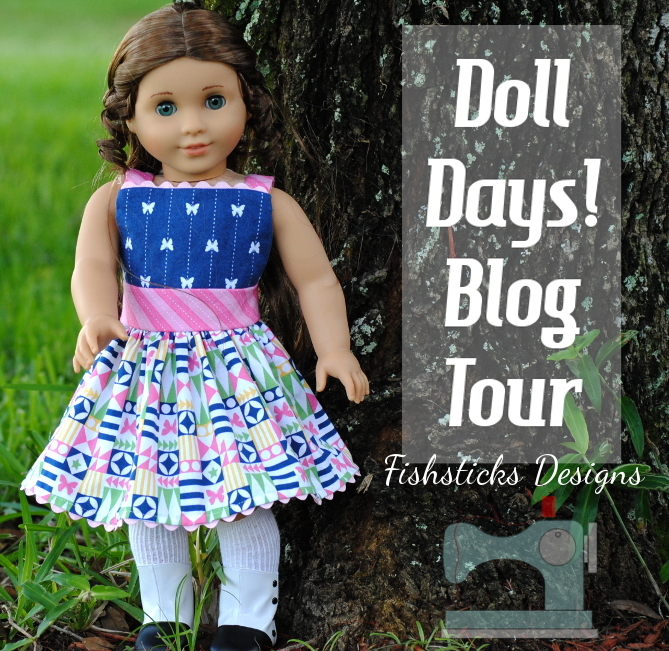 My friend, Erin Hentzel, just released her second book – Doll Days! 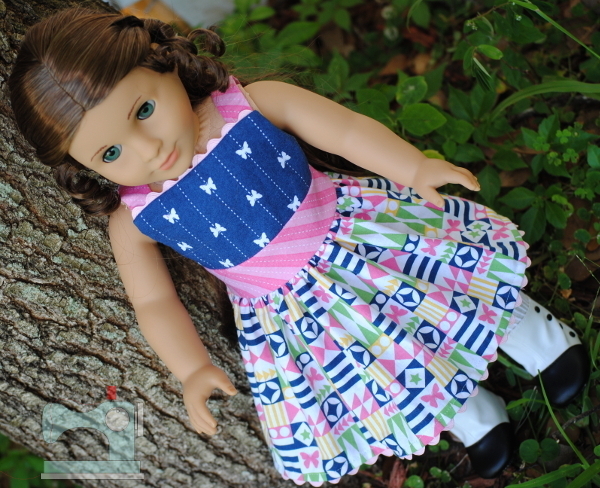 Sew an Everyday Wardrobe for 18″ Dolls. You might remember that my daughter, Samantha, and I joined in on the tour for Erin’s first book, Sew in Style, almost two years ago, and I’m really excited to join in the fun again! This new release includes patterns and instructions for nine wardrobe basics for your favorite 18″ doll, along with loads of tips, tricks and suggestions that let you mix, match and embellish for unlimited clothing options. Erin shares that the pieces are “modern designs inspired by vintage looks”. 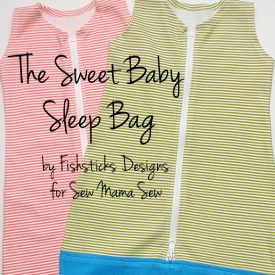 I chose to sew the Modern Vintage Sundress with Rick Rack that is featured on the front cover. The full-size pattern from the e-book was simple to print from my home computer, and the instructions were very straight-forward. (I did have to go grab my 18″ doll to check the placement of the straps. Erin suggests having your doll on hand since 18″ dolls aren’t all exactly the same.) I love the vintage-y touch that the rick rack adds! These adorable fabrics are from Emily Herrick’s new collection, Up and Away. Erin includes some great suggestions in the book for choosing fabrics that are just right for 18″ dolls. Is there an 18″ doll in your house in need of a new wardrobe? How about a free copy of Doll Days! to get you started? C&T Publishing is letting me give away an eBook copy to one of my lucky readers! Just leave a comment here to be entered. If you need a question to answer, I would love to know what you love most about sewing tiny things like doll clothes! Giveaway ends June 29th, 2016 at 8:00 PM EST. Giveaway is open to U.S and international residents who are 18 years of age or older. One entry per person. Winner will be selected by Random.org. Winner will be announced using the winner’s public username on or before 12:00 PM EST on July 5th, 2016. Prize will be emailed to the winner who must be contactable via email. Email addresses will never be shared. And, the winner is Rebecca Brown with lucky comment #13! I love being able make wardrobes for my girls to play with. 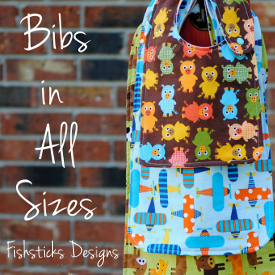 And that it takes little fabric and time to make such cool creations that get worn more than the kids clothes. I love all the little details in making the doll clothing. I love the vintage feel. Everything I’ve seen looks to be so versatile. Your doll dress is adorable. 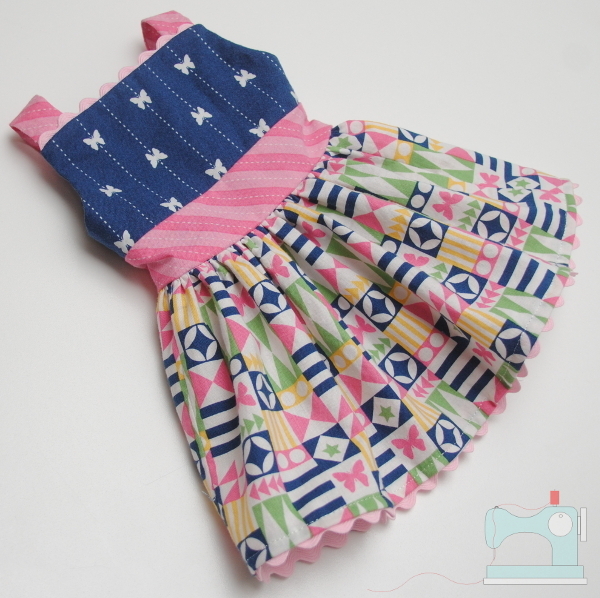 I have been wanting to get an 18″ doll (just for me:) and start to make doll clothes for it. This book would be a great starting point for me. Thanks for the inspiration and the giveaway. Sewing doll clothes is a great way to create doll dresses & play clothes out of small pieces (leftovers) of fabric, lace and rick rack. I love seeing how happy my little girl is dressing up her dolls in lots of pretty handmade outfits. What fun doll clothes. I find making doll clothes that they last so much longer. My very first sewing project was Barbie clothes about 58 years ago — after I grew up and had 4 sons, no doll cloths. I now have 4 granddaughters and this has my interest — maybe I’ll go full circle. 3 of my granddaughters have American Girl dolls — the other is still too young. Thanks! Sewing doll clothes is simply fun! 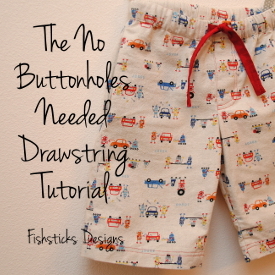 I’m learning how to sew, and how to make clothing (while I didn’t even realize it at first! ), and making my granddaughters happy by sending them new doll clothes. My sister and I sewed wardrobes for three little girls last Christmas. The look on their faces was priceless! We are working on next Christmas’ wardrobe…. I love the smile on my daughter’s face when I make her something special for her doll. I love that my grandaughter’s dolls have clothes that she can change. She especially likes it if they match her outfit too. Both my daughter and I enjoy creating doll outfits from various scraps and trims. I love making doll clothes for my 2 granddaughters. I love sewing for dolls. My daughter and I had hours of fun sewing, dressing and playing with her dolls. I am 56 years old, now I am sewing and playing with my granddaughter, still love it. Thanks for the chance to win. I love sewing and playing dolls with my daughter when she was a little girl, now I sew and play with my granddaughter, still love it. Thank you for the chance to win. I haven’t made doll clothes for a while. My favourite pattern was a pair of jeans for an 18″ doll. They turned out super cute with all the fancy top stitching. 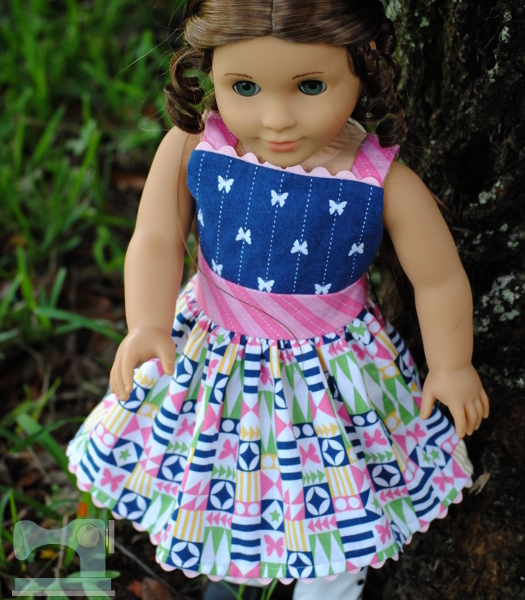 I have not made clothes yet for an 18″ doll, but am looking forward to doing so. I have two granddaughters, and each of them have this size doll. So far I’ve been buying them each clothes and accessories such as shoes etc. But now, I want to make them cute outfits and those I’ve seen from this book so far are just adorable. I love how fast these little projects whip up! My 5-year-old granddaughter just got her first 18″ doll and I can’t wait to start sewing with her! I’d love to make some doll outfits like these adorable ones for Christmas presents. I have 7 granddaughters who loving playing with the 18in doll. And this grandma loves sewing clothes for them. Always looking for new patterns, cool and new book of them. thank you for sharing it, and what a darling dress you made. Sewing doll clothes brings back happy childhood memories of my mom making doll clothes for my sister and me for our dolls and she taught me how to make them for my Barbie doll. It was so much fun picking from her scrap materials. Oh, that is just darling! I can’t wait to check out the entire book! Very cute dress! Looks like a fun book. I’d love to play with this book – I have 3 daughters with 18″ dolls and while they don’t all play with them anymore, they like to sew clothes for them yet. 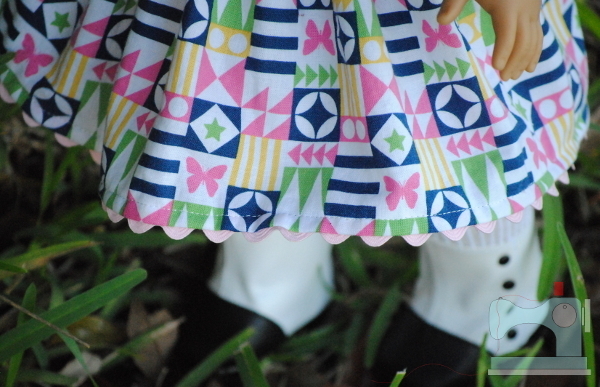 I love sewing doll clothes because I can use up bits of fabric and/or match them to my girls own clothing. Fun! I actually have two favorite things about sewing doll clothes. The first is the sense of success in sewing for a few hours and finish up with a well fitting replica of a human garment. And the second is that the items I make always get worn without any complaints or negative commentary! So unlike sewing for people. I love the chance to use really pretty fabrics that my daughters won’t wear – no florals for them! Thanks for the chance to win! I like everything about sewing for dolls – the search for just the right fabric, the patterns, the little smile on my doll’s face when she gets a new outfit . This looks like a wonderful resource! I’ve done a little bit of doll sewing using patterns from the big 3 but sometimes the instructions are hard to understand. I feel a real sense of accomplishment as well. It is fun putting different fabrics together – love the combo of fabrics on your dress. But most of all it is FUN! That is so cute. I love your fabric choices too. I love the challenge of sewing something small and there are always appreciate granddaughters around to enjoy the end results. 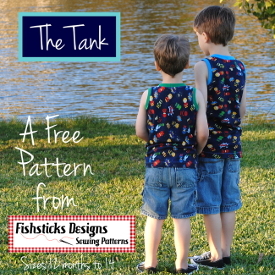 I love having something to use up my quilting scraps and my kids love being able to design their own projects! I Love sewing for dolls, they never complain about outfit made for them. Yippee! 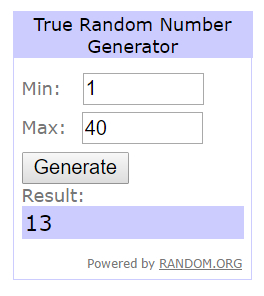 I won the “Doll Days Giveaway”… With lucky #13! Thanks, Sew Fish-sticks! Hello Bonnie, My Doll Days book I “WON,” arrived today thanks so much, it’s wonderful. Such cute doll patterns, and so many of them. 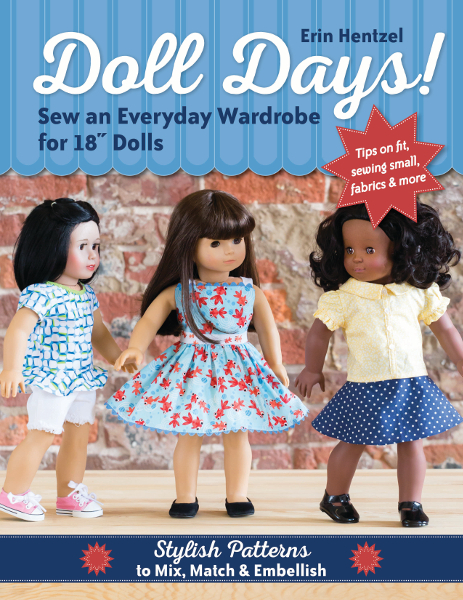 This book is great… Love it, C&T Books.The Doll Days! 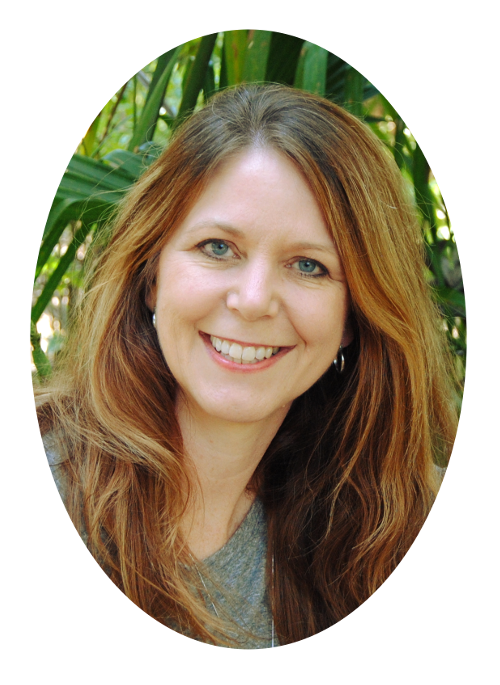 Blog Tour & Giveaway is the best!